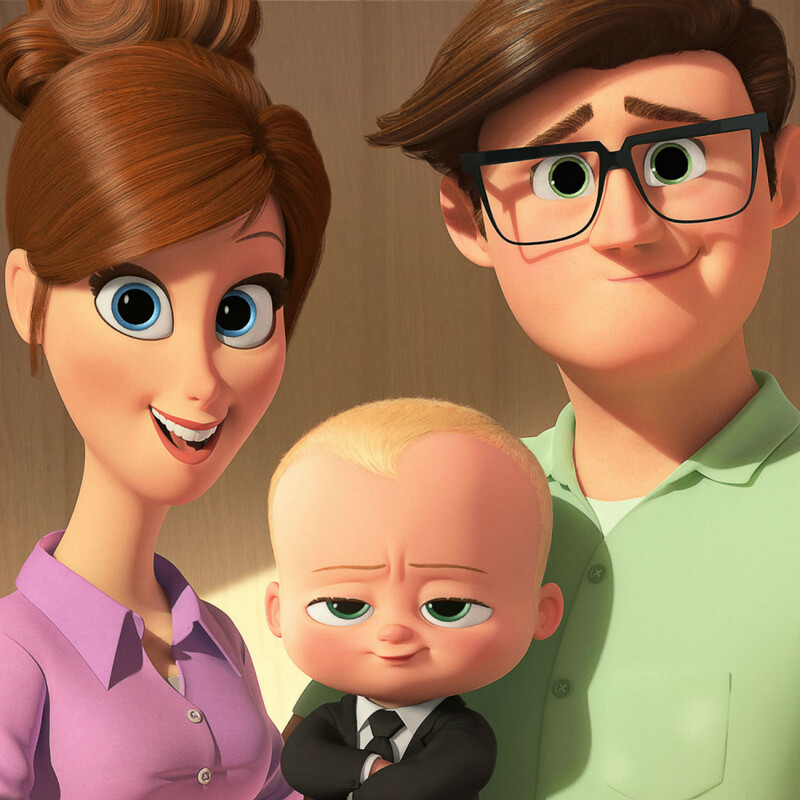 Since animated movies are most often aimed at families, it’s no surprise that many storylines feature families prominently. 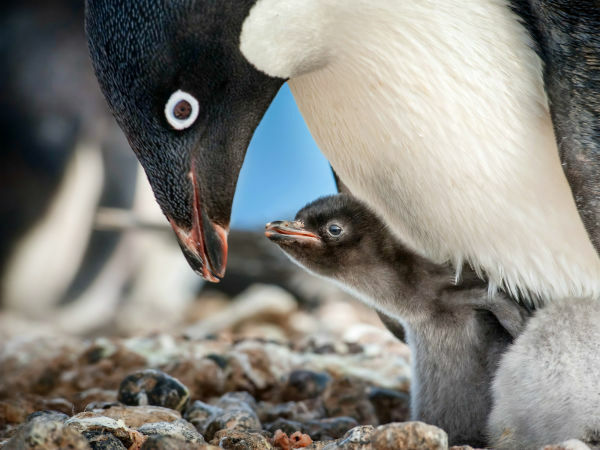 What better way to tug at heartstrings or impart a certain set of values than by making your movie all about the family unit? 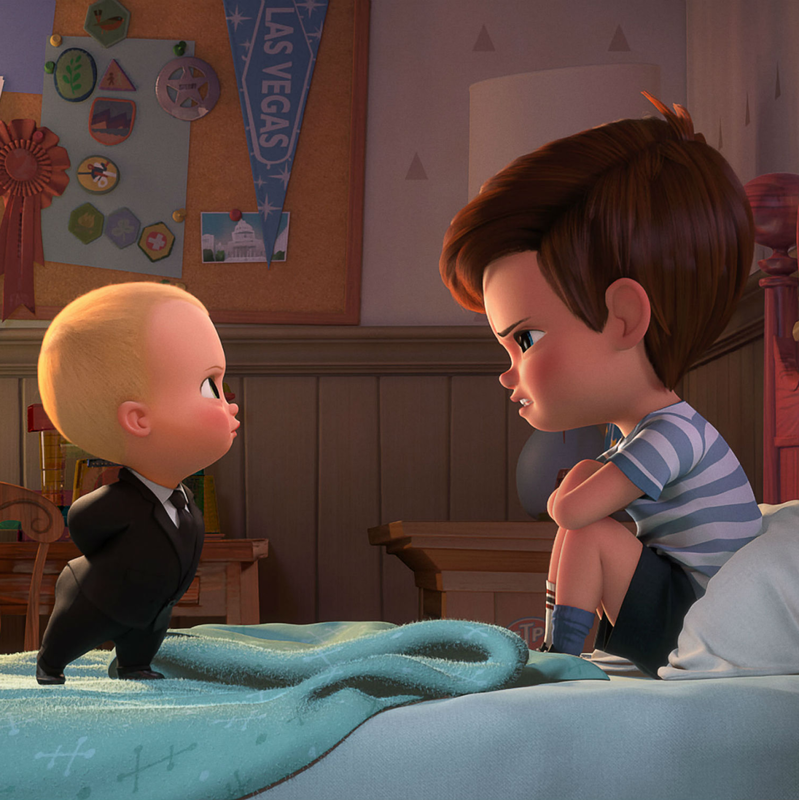 That thought process is given a twist in The Boss Baby, in which Tim (Miles Christopher Bakshi) is dreading his family’s impending addition of a baby brother. 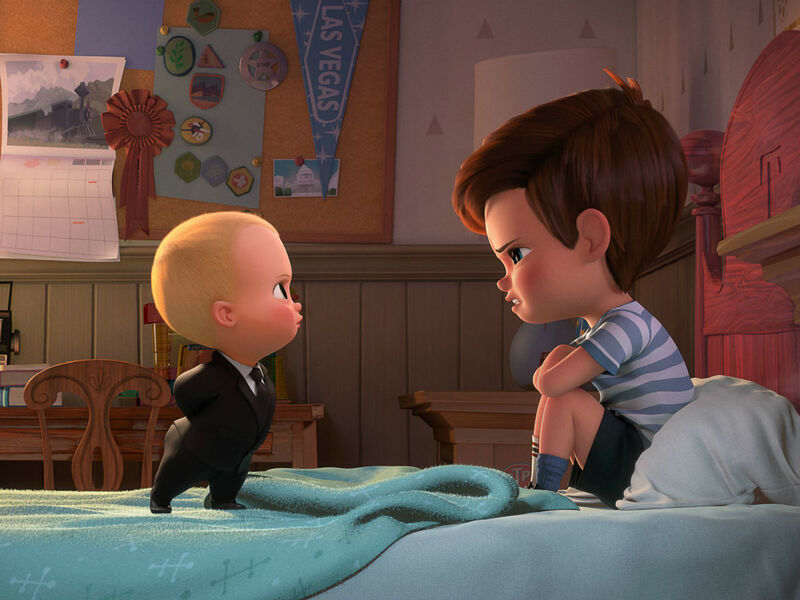 When the baby (voiced by Alec Baldwin) does arrive, he becomes the boss of the family, becoming the primary focus of Mom and Dad (Lisa Kudrow and Jimmy Kimmel), leaving Tim to essentially fend for himself. 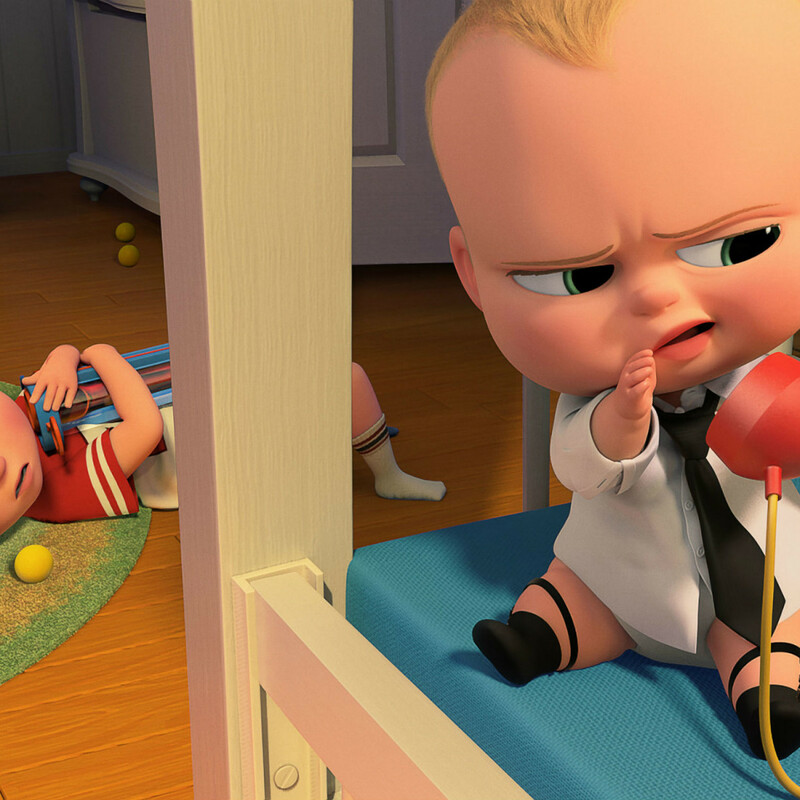 But instead of it just being a metaphor about how babies have everyone at their beck and call, the baby is a literal boss, wearing an actual business suit and working for a company called Baby Corp. that’s being threatened by PuppyCo. for dominance in the cuteness category. Tim and the baby, who initially feud over each’s place in the family, must come together so that each can get back to their rightful place in the world. 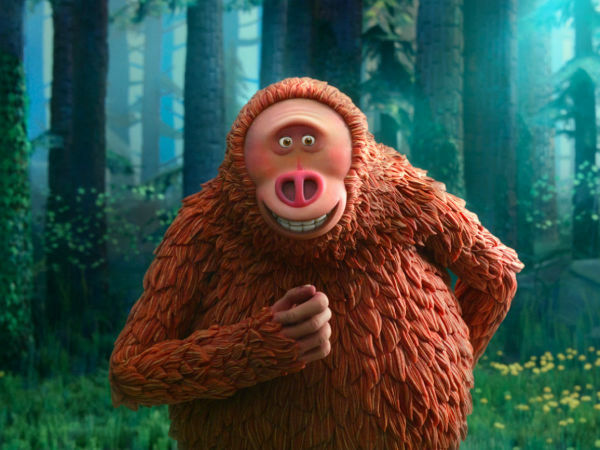 The film, directed by Madagascar’s Tom McGrath, has a lot of clever touches. On the adult side is the casting of Baldwin, whose time as Jack Donaghy in 30 Rock and Blake the motivator in Glengarry Glen Ross each serve as references and inspiration. On the kid side are, among other things, the baby’s “co-workers,” an eccentric band of neighborhood infants who assist him in his quest. It takes some time to get used to the film’s premise, though. 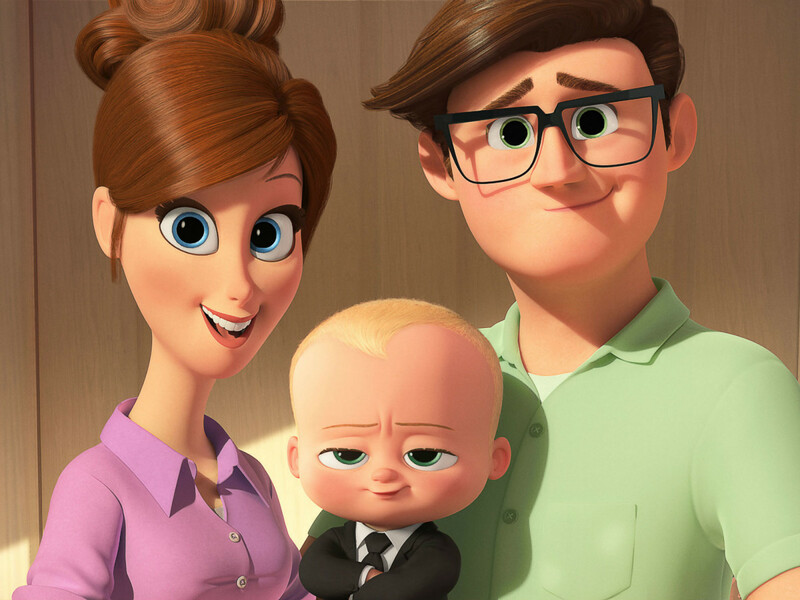 It initially seems as if the baby’s appearance as a boss is purely the imagination of Tim, and most of the film is portrayed in a way that could lead to that interpretation. But there are plenty of times where the opposite could be true, and this causes some plot confusion. The film is also heavily focused on comedy, leaving little to no room for any other emotions. While certainly not a necessity, it comes off as a bit odd to make a film all about family dynamics and not at least attempt to wring a few tears from the audience in the process. I’ve long derided the casting of name-brand actors in voiceover roles, since few have such distinctive voices that they stand out. Baldwin works due to the oddity of the part, but Kudrow and Kimmel don’t add anything special to their roles. 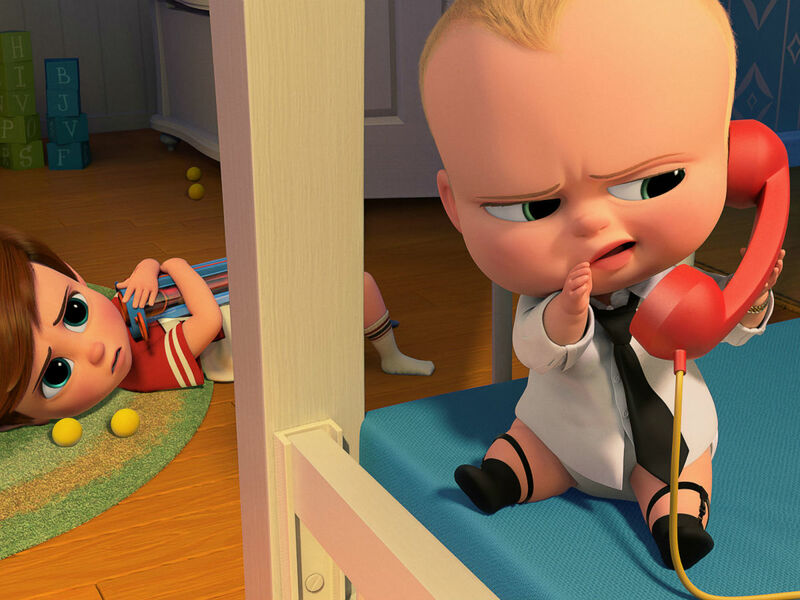 Steve Buscemi is okay as the baby’s chief rival, but Tobey Maguire as the narrator is about as bland as it gets. The fun of the film carries the day for the most part, although the further you are away from having a baby, the less you may enjoy it. Both as a metaphor and literal interpretation, the idea of a baby running roughshod over a family that seemed to have everything settled is an idea that’s relatable to both kids and adults.